I was contacted by a customer in Hernando, FL that purchased a foreclosed home and he was in the process of fixing the home’s problems. The pool deck was in poor condition and the back patio once had outdoor carpet. After it was removed it left behind an unsightly adhesive coating. 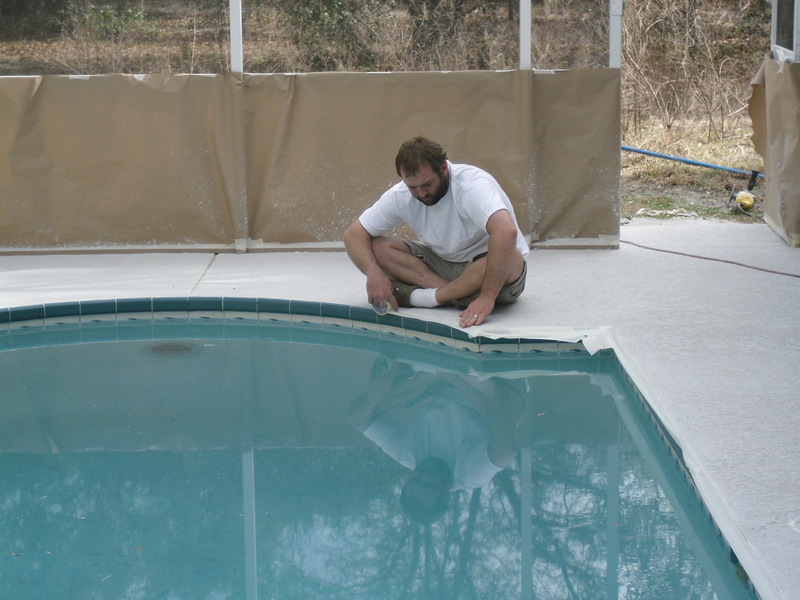 During the consultation with the homeowner, the decision was made to remove the adhesive on the patio and apply an acrylic texture on the pool deck and patio areas. 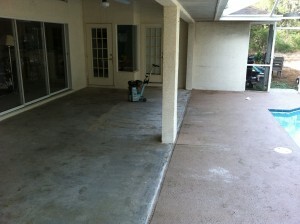 Removing adhesive left behind from outdoor carpet and prepping surface for new decorative concrete. It is essential to properly prepare the surface when you overlay with a decorative concrete material. Removal of the existing coating was critical to the longevity of the finished surface. Simply covering the previous coating can lead to delamination issues in the future. After all of the coating was removed, we applied a base coat with bonding additives to ensure the acrylic texture was on a level surface and was properly adhered to the existing concrete. 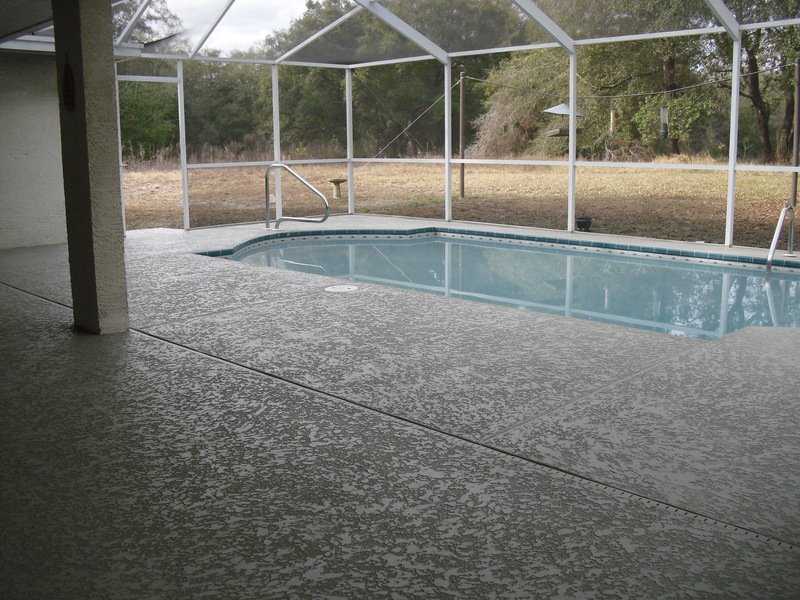 This customer went from having an unsightly patio and an aged pool deck to a brand new decorative concrete surface that will provide years of use with outstanding durability. 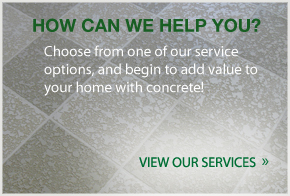 Contact us today by calling me at 407-342-8552. We proudly serve Orlando and the surrounding areas.